This 3D tour was produced by Northeast-3D and presented courtesy of Lee Bank. To navigate using your mouse, left click on the rings on the floor to move through the space. Left click and drag to rotate and look around the space. Alternatively, use the arrow keys on your keyboard to move through the space. On mobile devices, just touch the screen to navigate. 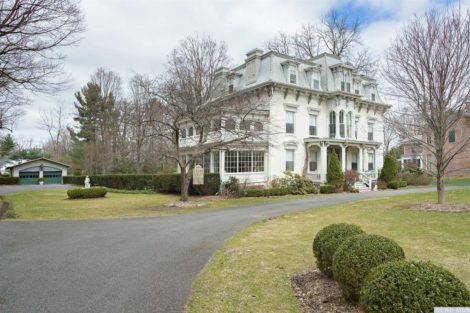 A gorgeous country residence with both formal and informal common spaces to accommodate a few or many. Five fireplaces, two master suites and guest wing with tennis court, all overlooking your own lake, with a western mountain view for backdrop. 100+ acres of very special land located on the border of Egremont and Sheffield on a back country road. What’s the most compelling thing about this property? This unique residence seamlessly blends country casual and city elegance. 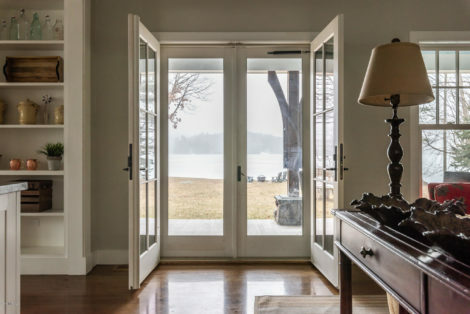 Take a right at the front door and you enter a rustic Adirondack lodge wing with a welcoming great room that beckons gatherings around the stone fireplace or a meal in front of a second fieldstone fireplace in the dining area that overlooks the lake. Take a left and you enter the luxurious addition, with formal rooms perfect for entertaining either intimate or large social gatherings. For whom is this house perfect? 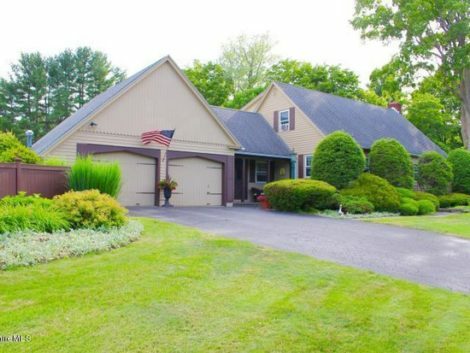 This house is more than a home, it’s an experience, with all the Berkshires have to offer right outside the door. Total privacy and quiet for the nature lover, with panoramic views of water and rolling hills, which the owner can enjoy in solitude or share with family and friends. There’s space for all! What’s the fun thing to do within five miles of this house? 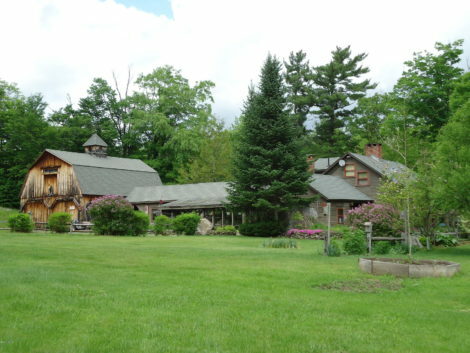 If owning your own 115 acres – where you have your own lake for swimming, fishing or kayaking or your own tennis court for brisk game on a lovely day – isn’t fun enough for you, Catamount Ski area and Bash Bish Falls are just a short drive up the road, and Race Brook Falls and Sages Ravine, for a wonderful day of hiking, are just around the corner. If this house could talk, what secret would it tell about its history? The owners who constructed the addition to the original house, went to great lengths to make the place even more special than it already was. To increase its unique character, they imported many materials, including decorative woodwork and intricate marble fireplace surrounds, from Germany. Plus, there is a persistent rumor that some of the best fishing in the Berkshires is available right here in your own Applegate Lake.